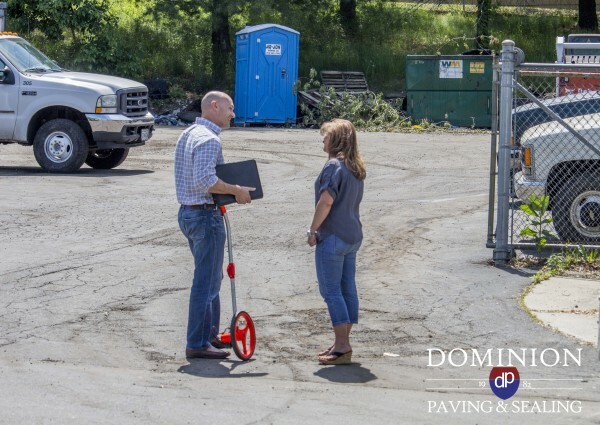 Finding the best paving contractor! Do you have certain requirements imposed by your company or a specific criteria that must be met when selecting a paving contractor? Perhaps maybe the decision is totally in your hands? Choosing a paving contractor can be overwhelming. We have a few recommendations for property managers, when deciding on who will be completing your next project! Investigate: Search the web. Take a look at their website. Are they anywhere else? Social Media? A company that does any sort of work should have it advertised, either on their website or by the use of various social media accounts. Facebook, LinkedIn, Twitter, YouTube, Instagram, Pinterest, the list goes on and on. Check them out on every single avenue available. Take a look at what they have been up to! Ask: Inquire on most recent projects, portfolio and references. If you don’t feel they are qualified, ask for references. Are they reputable and experienced? Have they been around for a while? If a company has history, there is more of a chance they will be around for the future. However, just because a company has been in business for a while, doesn’t necessarily mean they do good, quality work. Make sure to check on their insurance, warranties and how they handle issues or “go backs”. A great contractor will take the time to educate you, answering any questions or concerns you may have. Schedule: Take Advantage of FREE! Schedule an appointment or FREE EVALUATION if offered. Most companies do offer free evaluations or estimates. Have a representative from the company meet you at the property to go over exactly what you want done. This way you are able to outline what you want done and you can go over any of your questions and concerns. This is a great opportunity for the representative to recommend what should be done in their “expert” opinion. Pricing: The cheapest quote is not always your best bet! Compare the pricing AND scope of work! Make sure to check quantities and measurements. If you get an extremely low estimate, there is probably a good reason why. Compare “Apples to Apples”. 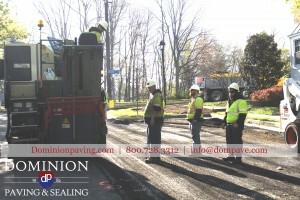 There are many things to consider when selecting a paving contractor. Hopefully, these few pointers will aide you in choosing a vendor that is right for you and your project. 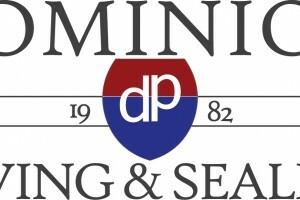 If you would like to talk to a Dominion Paving & Sealing project manager about your next project, please let us know. We would be more than happy to help you!